We would like to thank everyone who came and supported the matches on Sunday and paid their respects to those who gave their lives during the Great War. 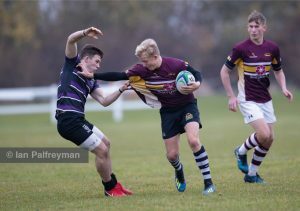 We watched 2 great matches between a Leicestershire U18’s barbarian team v Welbeck College and Leicestershire Servicemen v The Royal Signals. 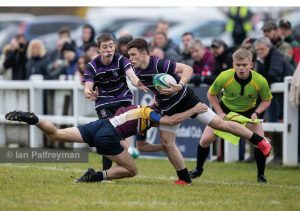 Both matches were played in good spirit where the result didnt really matter, only that the players had a great time playing the game they love while the spectators cheered them on. We will be continuing to raise money for The Poppy Appeal throughout the season but the event on Sunday has got us off to a great start. The supporters shirts will still be available to purchase online for a couple fo months yet and we still have some for sale from the day. Once we have checked the sizes, we will post details for how these can be bought. Here are some images form the day. 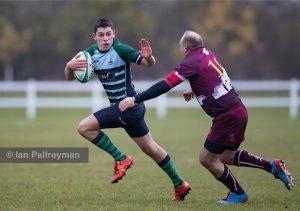 More are available online from Ian Palfreyman. (password poppy)He will be donating 20% of any orders to the Poppy Appeal. We have received some lovely feedback about the event. Here are some quotes. 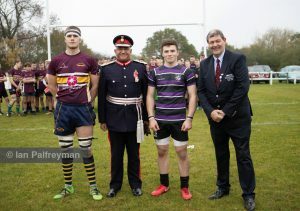 “Great to see you yesterday and Leading a most special day for LRFU and The Armed Services. The company and conversations were brilliant and down at pitch-side, it was clear everyone and services families as well who had travelled, All had a great day and enjoyed being part of this very special event. 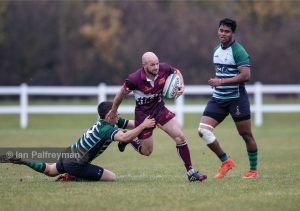 “Everyone was so welcoming and friendly throughout and I do appreciate how much hard work went into the organisation of the day. 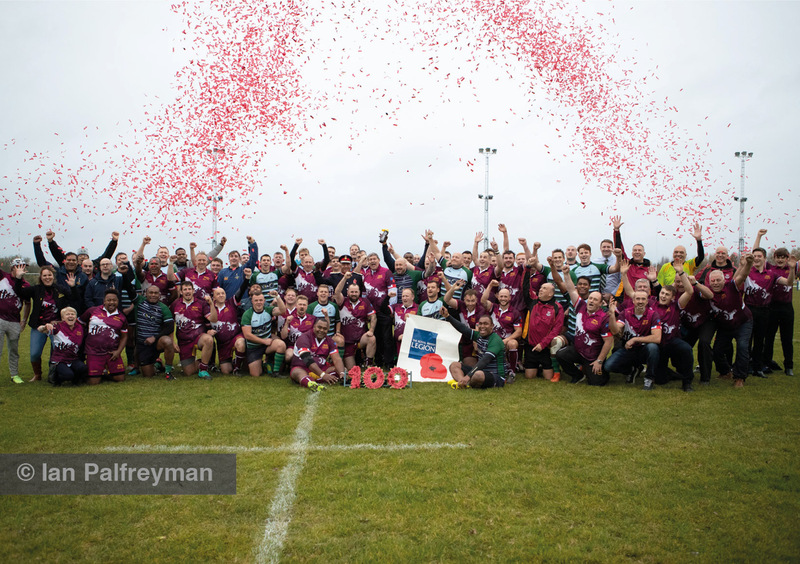 It was so good to meet everyone and watch the rugby but most importantly to remember those who fought and supported the First World War. 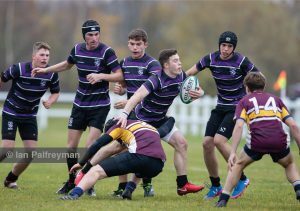 It was a fine occasion.” – Rex Hazeldine, President, Loughborough Students Rugby Club. This match is in association with the Royal British Legion to commemorate 100 years since the end of The First World War. 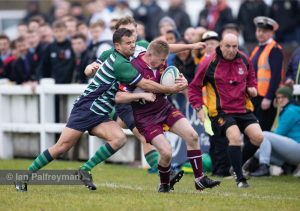 With many serving and ex-serving military personnel involved in the game of rugby, Leicestershire wanted to mark the occasion with a game to remember. 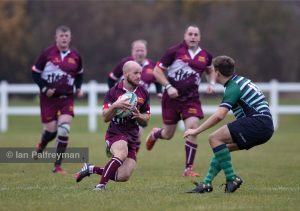 Joining up with the Royal British Legion has been a natural path and the aim is to not only play a great game of rugby but to also raise funds for the Poppy Appeal. Entry to the game will be free, but we will be inviting spectators to make a donation on the day. 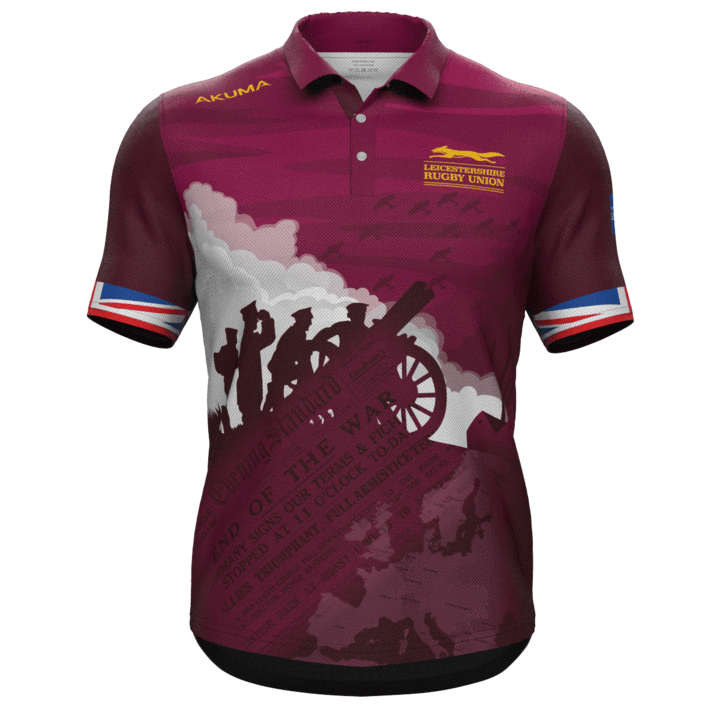 We will be launching a commemorative polo shirt that will be available to purchase shortly with profits also going to the Poppy Appeal. The event will be attended by local dignitories and we want to invite as many of you to attend as possible too, so please share details of the day. We will be updating this page with more details of the event itself as we get nearer to the day as some plans are still in the early stages. 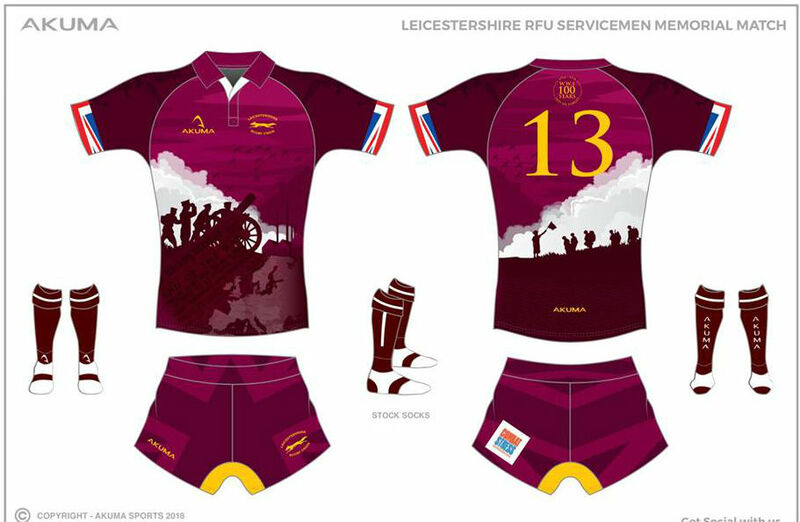 If you are an ex-serviceman and would like to be considered for the Leicestershire team, then please contact Marc Birr [email protected] Should we be in a position where we have more volunteers than spots on the team, then trials will take place. We are also looking for businesses or individuals to support the event by means of a donation which will help cover any costs. Anything above our costs will go directly to the Royal British Legion. 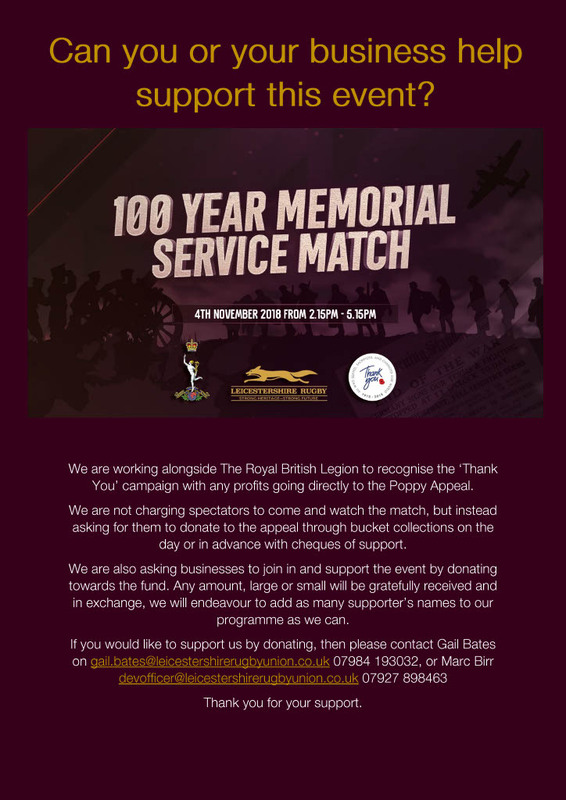 In return, should you wish, your name or business will be printed in the commemorative programme and on the website as a supporter. We will consider any amount. Finally, please keep checking this page as we will be posting updates as we have them. We have joined up with Akuma and produced a supporters polo shirt that mirrors the design of the playing shirts. The shirts are available in both men’s and ladies fits at £35.00 each. This is a limited edition design and all profits raised will go directly to The Poppy Appeal. We think you will agree that the design is spectacular. To mark 100 years since the end of the First World War, The Royal British Legion is leading a national movement to say ‘Thank You’ to the entire generation who lived through the war, served, sacrificed and changed our world. The charity is calling on the public to remember not only the British and Commonwealth Armed Forces who lost their lives, but also those – military and civilian – who played their part on the home front and those who returned to build a better life for the benefit of generations to come. Should we be in a position where we have more players than positions, a selection process will take place. 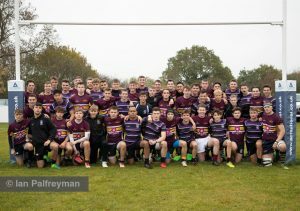 This will be advised if necessary, but we really want to get as many people involved as we can and play rugby to mark this unique occasion. Please help us to share the event by printing off the attached poster and displaying on your club or social noticeboard.